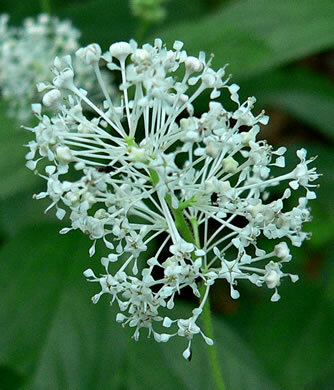 Flower clusters are terminal or arise from leaf axils on stalks 2-10" long, per Wildflowers of Tennessee. 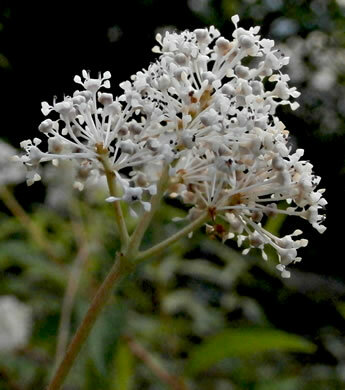 Flowers have 5 hooded petals, each with a 1mm blade & a narrow 1mm long claw, per Vascular Flora of the Carolinas. 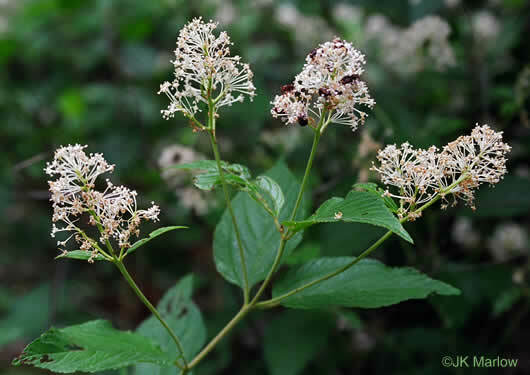 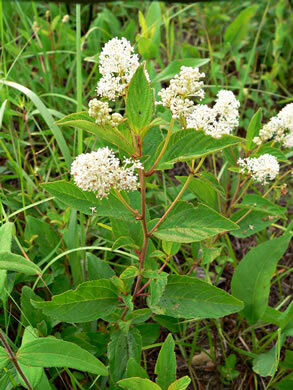 Low rounded shrub, to ~ 3' tall, that often has the aspect of a bushy herb, per Atlantic Coastal Plain Wildflowers. 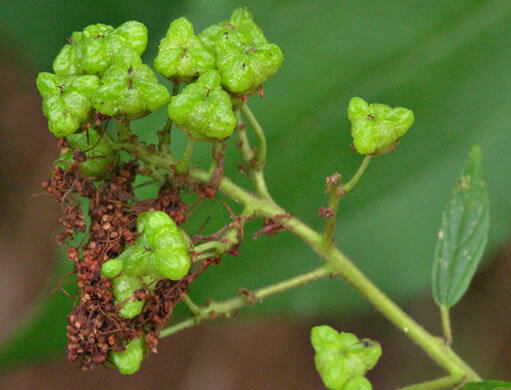 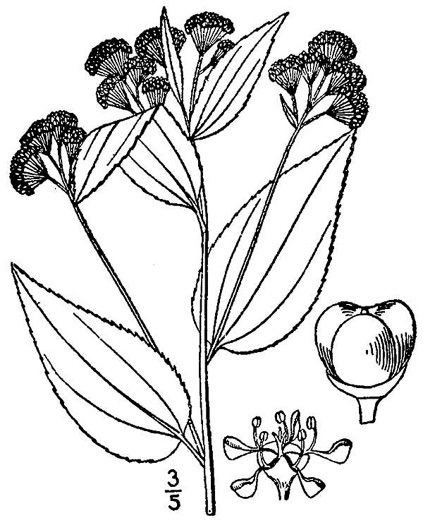 Fruits are fleshy three-lobed capsules, per Wildflowers of Tennessee, the Ohio Valley, and the Southern Appalachians. 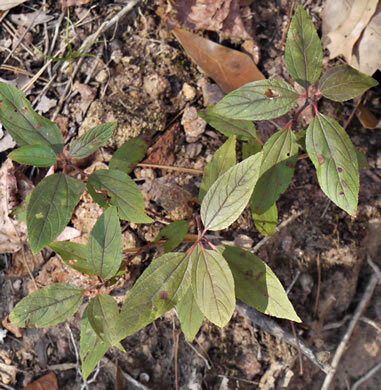 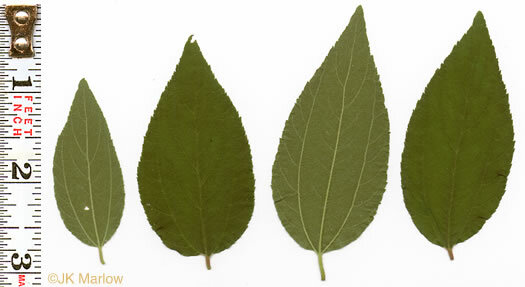 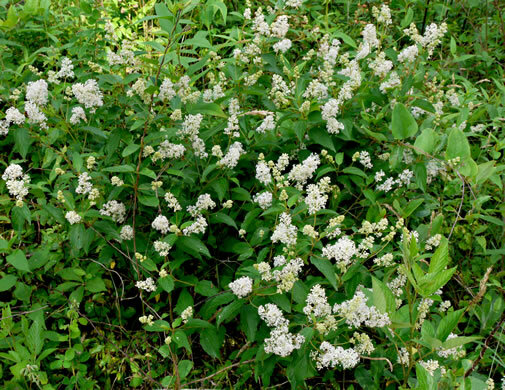 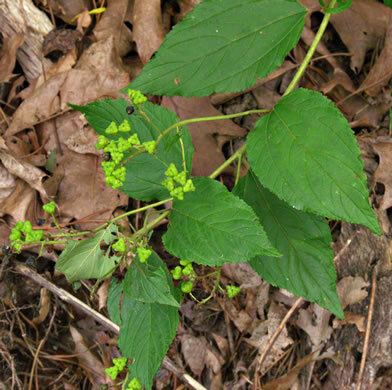 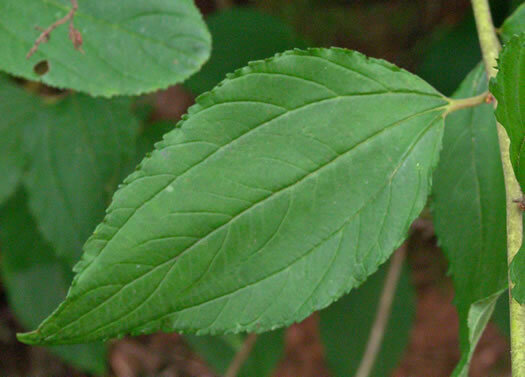 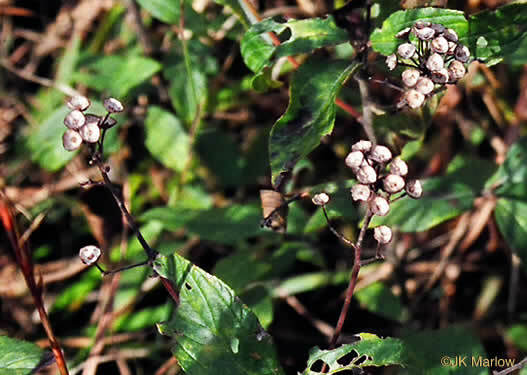 Leaves are 3-nerved from the base, per Native Shrubs and Woody Vines of the Southeast. 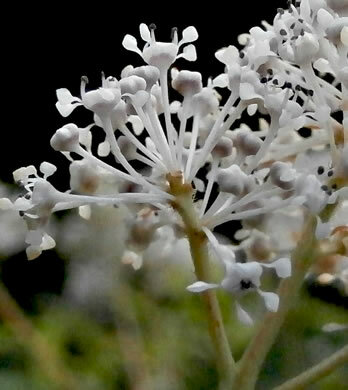 Flower clusters cylindric to egg-shaped, per Wildflowers of Tennessee. 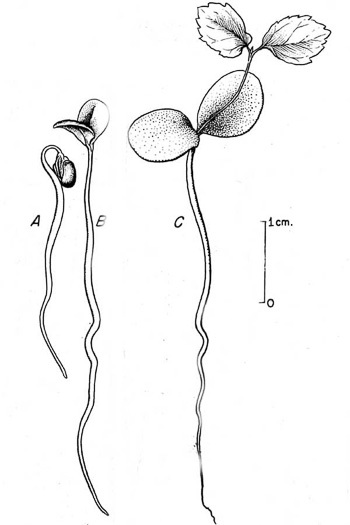 Seeds have been dispersed; the little "cups" left behind are the hypanthia.